For Excello it is important to meet our colleagues from the information security field and share the knowledge we have. For such occasions we choose events where the marketing of the products is not the main and only topic. 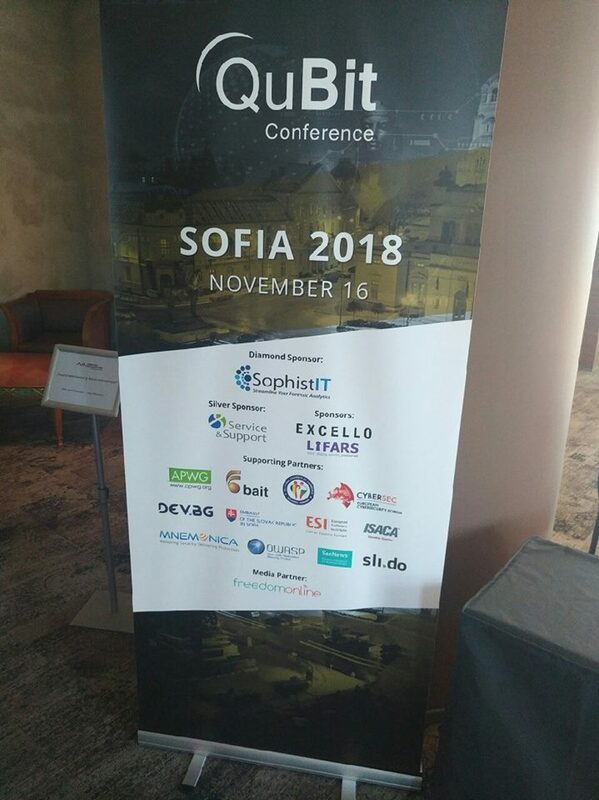 Among other events where we participate, this was also the case of QuBit Conference in Sofia. First day was a pre-conference training day. For this day, we prepared the Email Security training, bringing the overview of current standards, protocols and best practices in the email security field. Participants had the chance to discuss available methods of the communication protection, features and configuration tips. The training style allows active interaction. In case you would be interested in such training, just reach us through our email. On the second day, the conference day, the conference was split into technical track and management track. In the technical track we delivered the presentation about our research in the field of botnets. Presentation called „WEB2BOT: Your web – their bot" is the summary of our investigation of a spamming and bruteforcing botnet. You can check the whole agenda with the list of all speakers on the conference website https://sofia.qubitconference.com/ . And least but not last, the organizers prepared also two evenings where speakers meet the attendees, these networking events important to create friendships and partnerships. So, if you are looking for the interesting IT security event with high level topics and no marketing, check the future QuBit events. There's a chance, we meet there.